Next time you visit Family House, check out the temporary walls near the house managers’ office and the kitchen. Guests, volunteers, and staff are writing hopeful messages to one another on this provisional walling. These endearments and tributes lift the spirits of everyone who walks through our temporary lobby’s front doors. 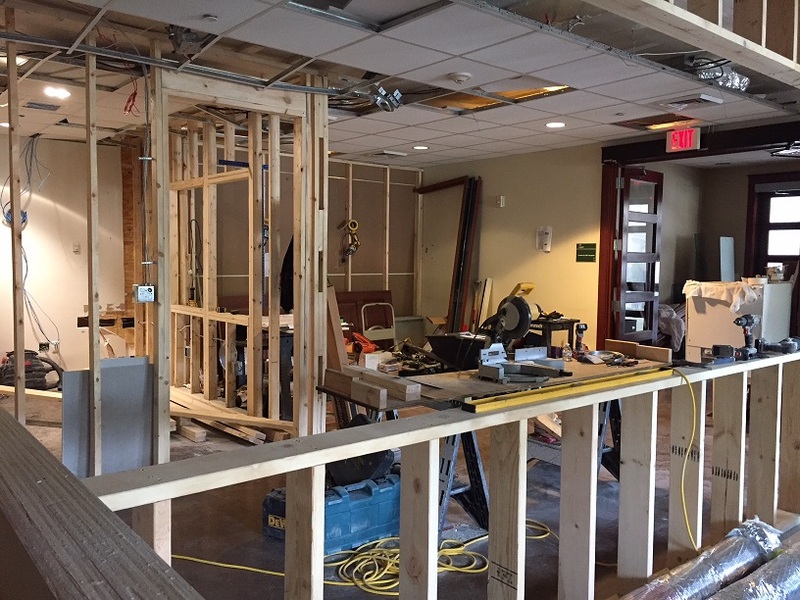 Several weeks now into the existing building renovation, improvements to the lobby are taking shape. Our construction team has erected frames for the Executive Director’s and Executive Assistant’s offices. Customized cabinets are being built behind the front desk, along with a longer desk that will comfortably seat three volunteers. The completed renovation will provide a more efficient space for our volunteers to work. A second Admissions Office in the Executive Assistant’s area will accommodate the higher volume of guests once expansion of our current 34,000 square-foot home is complete. Stay tuned for more updates about the renovation! 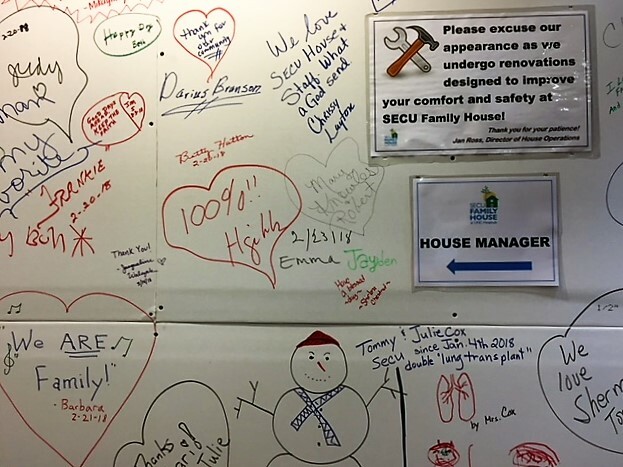 Want updates on news and special events from SECU Family House? Click on the icons below to get the latest updates.